Arkansas Craft School April Courses Offered Arkansas Craft School April classes include “Reverse Glass Painting”, “Learn to Knit in a Day”, “Kids’ Monthly Crafts Workshop Series”, “After School Arts”, “Beginner rigid Heddle Weaving”, “Beginner Glass Bead Making”, “Beginning Digital Photography”, “Torch Fired Enamel Jewelry”, and “Encaustic Photo Collage”. 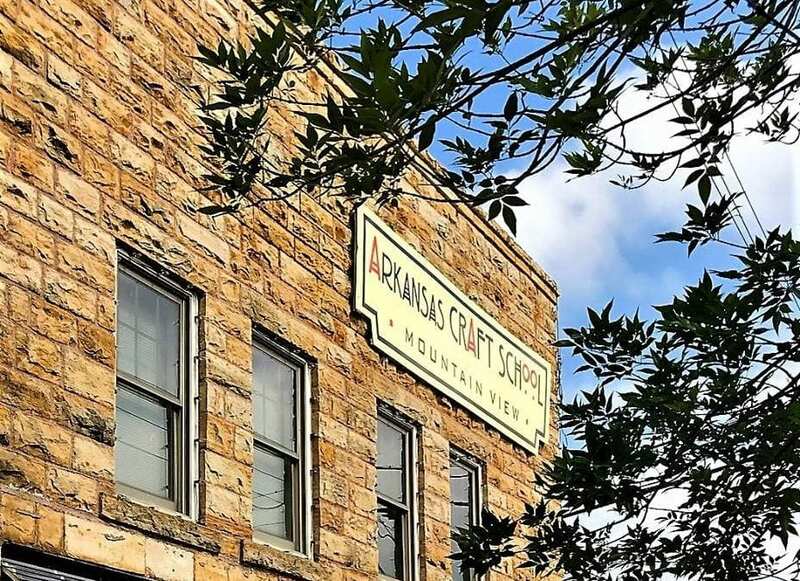 Arkansas Craft School has several crafts classes offered for the month of April. See website: www.arkansascraftschool.com to register. Call 870-269-8397 for more information. “Reverse Glass Painting” with Loretta Babak. Friday & Saturday, April 5 & 6, 9 am-4 pm both days. Tuition: $150. Materials fee paid to the instructor in cash or check: $38 “Learn to Knit in a Day” with Dianne Petty. Saturday, April 6. Wednesday, April 10. Saturday, April 13. Wednesday, April 17. 9 am-4 pm each day. Tuition: $75/day. Materials fee paid to the instructor in cash or check: $10 for needles, plus bring a skein of cotton yarn, or purchase from instructor for about $3. “Kids’ Monthly Crafts Workshop Series” with Daphne Morton. Saturday, April 6. 10 am-12 pm. Tuition: $10 in advance. $15 drop in. No materials fee. “After School Art” with Daphne Morton. Tuesdays, April 9-May 5. 3:30-5 pm. Tuition: $35 for the series. No materials fee. (Please note that because of a generous donation from Stone Bank, tuition for young artists classes is either free or low cost.) “Introduction to Glass Bead Making” with Mike Engle. Monday, April 15. 10 am-2 pm. Tuition: $80. Materials fee paid to instructor in cash or check: $15. NOTE: THIS CLASS IS FULL. PLEASE CALL TO BE ON A WAIT LIST. “Beginner Rigid Heddle Weaving” with Rusti Bargar. Saturday & Sunday, April 13-14. 9 am-4 pm. Tuition: $150. Materials fee paid to instructor in cash or check: $60. If you bring your own rigid heddle, $40. “Beginner Digital Photography” with Ed Alexander. Saturday & Sunday, April 27 & 28. 9 am-4 pm. Tuition: $170. No materials fee. next level! In this two day class with Fiber Artist Rusti Barger, students will begin learning the quick and easy direct warping technique, then will move to cover the basics of weaving. On the 2nd day, students will finish their new piece (scarf) and begin learning finishing techniques for handwoven pieces. We will discuss advanced weaving techniques to produce patterned fabrics and how to weave double-wide fabric on the rigid heddle loom. Join us to learn this incredible art form. “Beginner Digital Photography” – In this 2 day course, students will learn to capture the best images with their digital cameras by improving their understanding of camera settings, subject selection, composition, use of light and color, camera maintenance, and image storage. 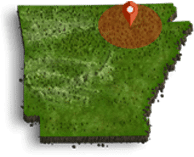 Students will receive one-to-one attention on their images and will be taken outdoors to shoot beautiful photos of Spring in the Ozark Mountains. Instructor Ed Alexander is an accomplished outdoor photographer whose work is featured in both private and public collections across the United States. “Beginning Torch Fired Enamel Jewelry” – In this exciting 2 day course with professional artist Dana Finimore, students will learn to create beautiful copper enameled jewelry utilizing the torch firing method. Various other methods will also be covered, including sgraffito and stenciling. Students will leave this course with several pieces of their own enameled jewelry creations to wear and the beginnings of a new skill or passion! Suitable for ages 16 and up. “Encaustic Photo Collage” – Spend a day learning encaustic photo collage with award winning artist La’Nelle Gambrell at her beautiful, sanctuary studio located on Fox Mountain, 14 miles north of Mountain View. The art of encaustic uses molten bees wax, crystallized tree resin and pigment to produce images with translucent depth and a surprisingly durable surface. A medium of growing popularity, its history dates back to the 5th century B.C. and was used beautifully by the ancient Greeks, Romans and Egyptians. A multi-talented artist, La’Nelle Gambrell teaches a number of the encaustic techniques she has perfected over the past 7 years, starting with an introduction to encaustic using photo collage in this one-day, six-hour workshop. No prior art experience necessary. Materials are included in the tuition as well as beverages and lunch. Students will leave with at least two finished pieces of encaustic art. You will receive plenty of individualized attention as class size is limited to 3 or less, and individual tutorials are possible. La’Nelle will accommodate students whenever feasible, including weekends.